Product prices and availability are accurate as of 2019-04-15 06:20:26 EDT and are subject to change. Any price and availability information displayed on http://www.amazon.com/ at the time of purchase will apply to the purchase of this product. 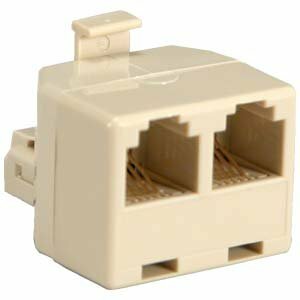 How many times have you wished you could temporarily disconnect your 2-line Telephone plugged into a standard RJ-11 phone jack? The Telephone Remote Interrupt Control Kit 2 is the TRICK 2 do it. It will disconnect both lines at the same time with the flick of a single switch. *** If you have a Business Phone you can turn it off for an uninterrupted lunch or after hours especially if it is a Home Business. You can use it to avoid the ringing by simply turning off the phone line. It is great during election years to avoid those hundreds of political robo-messages or annoying solicitors. In addition, maybe you have a Fax Machine that is inundated by junk faxes or you just want to control when it is accessible. If you use a 2-line phone and want to control a Fax or All-In-One device with line 1, you can also do that with the addition of one of the original single-line TRICKs and a line splitter which we also provide. *** Oh, you can unplug the phone cord to your device, which may not be easily accessible or turn off your device, but then you have to wait for it to reset when you turn it back on. Not very practical or efficient especially if you do it frequently or are in a hurry. *** Now, with the safe and simple TRICK 2, you can rest assured that no-one has access to your device and nothing is going to happen without your control. The TRICK 2 is simple. Similar to the Original 1-line TRICK 1, each TRICK 2 Kit includes One on/off 2-line Control Module, One 7ft modular phone Cord and One double sided adhesive mounting Pad. 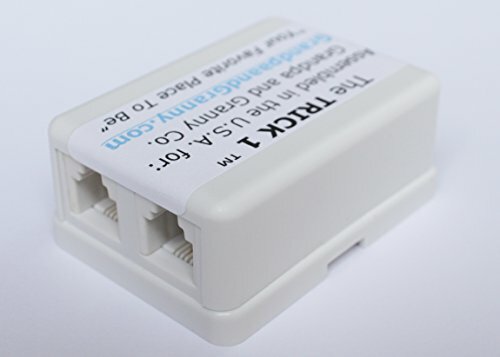 The Control Module has an on/off toggle switch which can physically interrupt your phone line connections just as though you had unplugged them. Simply unplug the phone cord from your 2-line phone and plug it into either Control Module jack, then plug one end of the modular phone Cord into your 2-line phone and the other end into the second Control Module jack. The TRICK 2 is on when switched to the green arrow and off when switched to the red arrow. 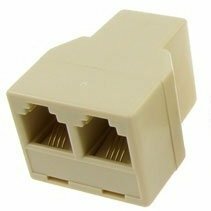 Plug our 2-line Phone Splitter-2 into your 2-Line wall jack so that each line has its own output, L1 jack for Line 1 and L2 jack for Line 2. In addition, it also provides a third jack, L1+L2, the original combined output jack for Line 1 and Line 2 together. Install a 2-line TRICK-2 between the L1+L2 jack and your 2-line phone, this will allow you to switch both lines on or off simultaneously. 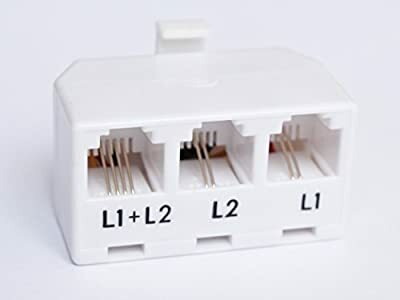 Install a 1-line TRICK-1 between the L1 or L2 jacks, or both, and your 1-line phone, fax or device to allow you to switch either line on or off, as well. 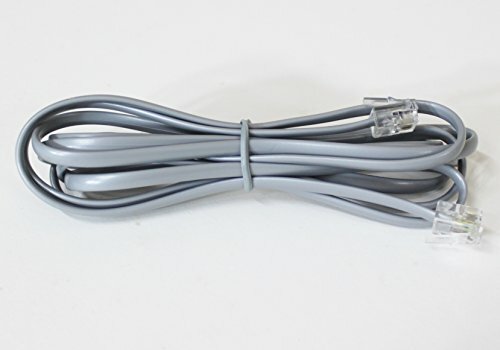 For your 1-line wall jack, install our 1-line Splitter-1. Plug your modular telephone cord from the wall jack into the single jack of the Splitter-1 and have 2 cord outputs. 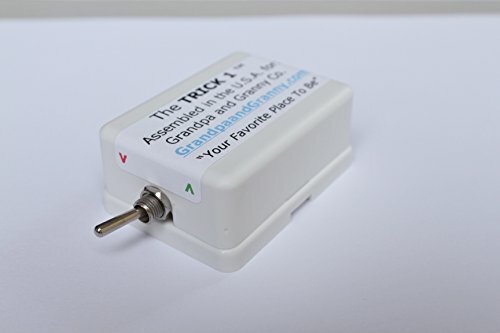 Install a 1-line TRICK-1 between the Splitter-1 jack, or both, and your 1-line phone, fax or device to allow you to switch either line on or off, as well. All "TRICK" items are only sold by Grandpa and Granny Co. and ship via Priority Mail from the USPS to all 50 States. International shipping is via First Class International. Grandpa and Granny Co. line of TRICK components enhance your phone experience. Order the necessary TRICKs, Splitters and Cords required for your custom application from our Amazon Storefront, be creative!